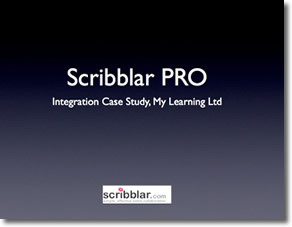 Scribblar Pro enables you integrate the entire functionality of Scribblar into your existing website or Learning management System (LMS), allowing you to provide all of Scribblar's features to your existing users using your own logo, look and feel and color scheme. Tutoring businesses, school districts, universities and individual teachers around the world already use Scribblar with great success. Our API gives Scribblar Pro customers programmatic access to all core Scribblar features. With Scribblar Pro you can eliminate complex hosting arrangements and bandwidth costs by using our turn-key system. Integration is quick and can usually be done by skilled developer in less than a day. If you are running a Wordpress based site then our free Wordpress plugin will make setup even easier. You too could be running your own integrated online classroom and tutoring platform in a matter of hours. Prices start at just $69/month for up to 150 sessions (by session we refer to an interaction of two or more users for up to 70 minutes), providing a price of less than $0.50 per tutoring session and offering a healthy profit margin to our tutoring customers. Scaling up is very cost effective too as we are then able to offer volume discounts. Many of our customers now run several thousand tutoring sessions per month. There is no setup fee or any other hidden charges. Contact us today with your requirements and we will provide you a custom quotation that works for you and your busines. Accounts run month by month without any tie-ins. We handle payments securely by credit card or Paypal. Longer standing customers can also pay by bank transfer or cheque. We can accommodate startups, individual tutors and small scale businesses as well as large customers up to Enterprise level. 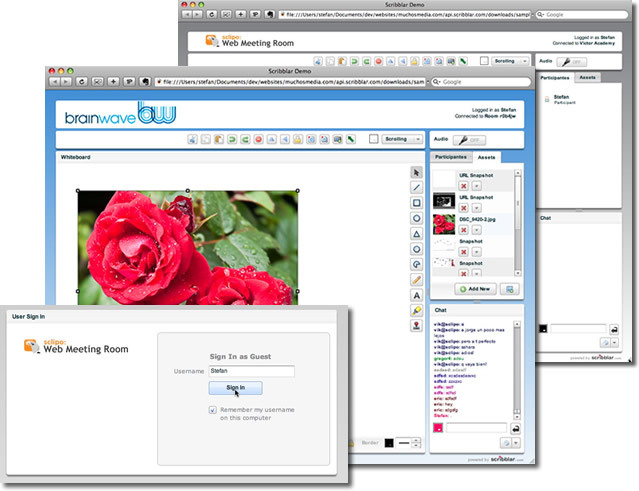 If you are an institution using an LMS then our LTI compatible service can be integrated easily into all popular Learning Management Systems including but not limited to Moodle, Blackboard, Canvas, D2L, Haiku, Ucompass, BrainHoney and many others.